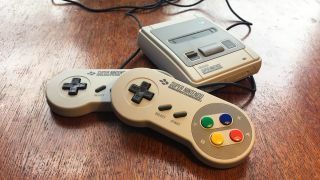 Nintendo has pulled another classic move they have on several occasions.Many people have pre-ordered the SNES mini but many have been left disappointed. My question is why does Nintendo insist on leaving a sour taste in the mouth of consumers.It seems many people have decided not to order one item but several, Nintendo have not met the demand and have driven the price up on the first day of release.The tactics work very well and have done for the company for some time.I can’t get away from the buzz that is the SNES mini, it’s everywhere u look people are posting they have got theirs in delight while others offer to pay double. Cex has once again played their hand quick offering 120 euro cash or credit for the SNES mini, Cex must be under the same impression as the public that these consoles will be as a rare a gold as they were last year.cex are buying for 120 and selling for 160 with not the usual markup of 50 percent. The question is will Nintendo meet the demand or will they shrug it off and make way for the progress of the next hit maybe a Nintendo 64 mini or a GameCube mini which would be sure to even in more demand. On another note, Has anyone else noticed the console war last week in full flow, it just happened to be the week that both Sony and Microsoft decided to do deals on both of their machines offering upgrades for 70 and 90 euro? I was in several shops today all packed to get the best deals, was today a black Friday for games consoles? it’s great to see some deals for the public.Microsoft and Sony must be short on parts. Ah I think Nintendo should keep the Mini series to a minimum production wise. It's good for serious and genuine collectors' to have them in their collection. I hate to see such things be abused. I hope an N64 mini is on Nintendos horizon for 2018. I hear they may encounter problems with Microsoft though as they bought the rights to certain games.